This updated home is in fantastic shape featuring Brand New Exterior Paint, New Roof, New Carpet & New Interior Paint. The home Boasts an Open & functional Floor Plan, Large Kitchen, Hardwood Flooring & a Hard to find Larger Lot. The abundant back yard features a Garden Area, Fire Pit, Playground Sandbox for the Kids to Play in while the dogs enjoy the large Dog Run! Plenty of room for your toys as HOA does allow for RV parking on the side of the home. This home is conveniently located with Easy Access to I-76 & Tons of Shopping around the Prairie Shopping Center. 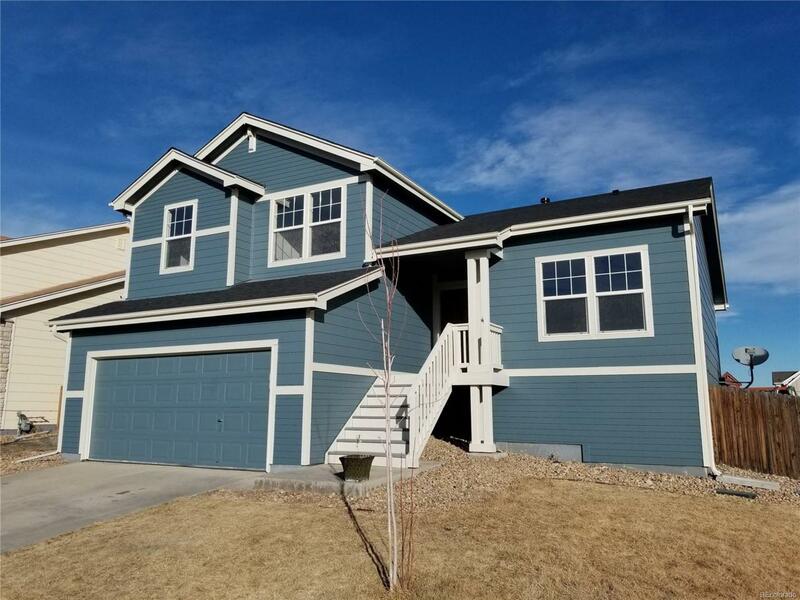 You will enjoy nearby Parks as well as Foundations Charter School all within walking distance & Barr Lake recreation is just a short drive away! !